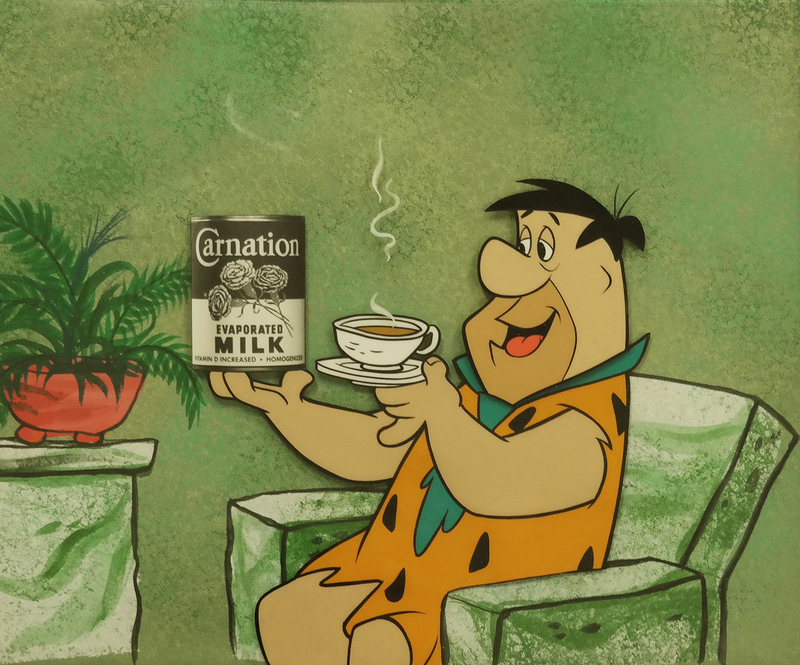 This is an extremely rare early production cel and background for a bumper card used at the beginning of the episodes in the series to announce the sponsor (in this case Carnation Milk). The entire piece measures 15.25" x 18.25" framed, the mat opening displays 9.5" x 11.5" of the 10" x 12" piece. 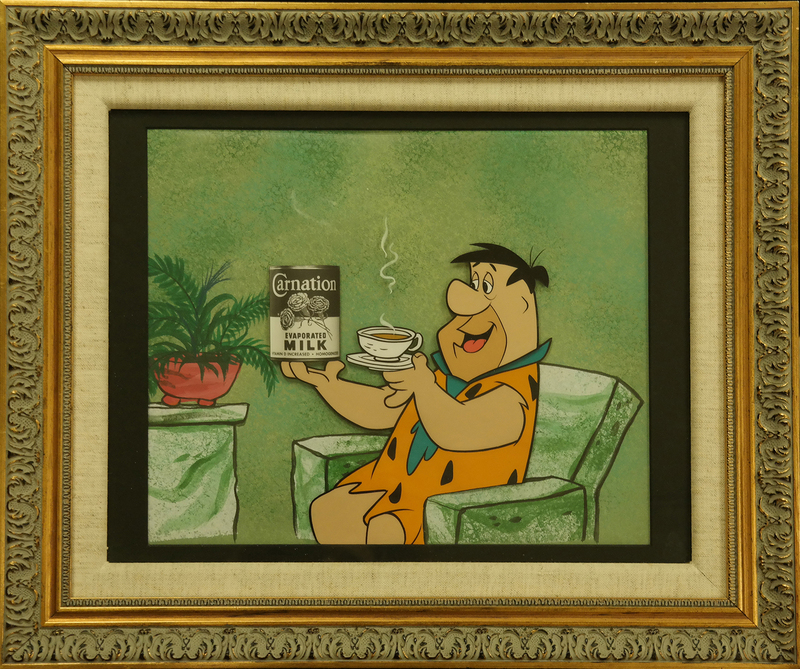 This is a very rare piece of animation and advertising history!